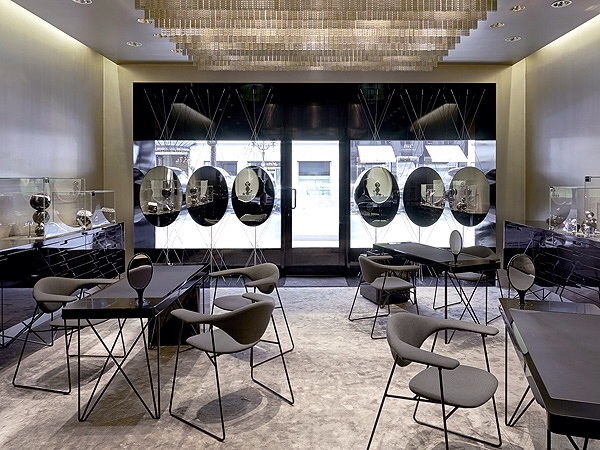 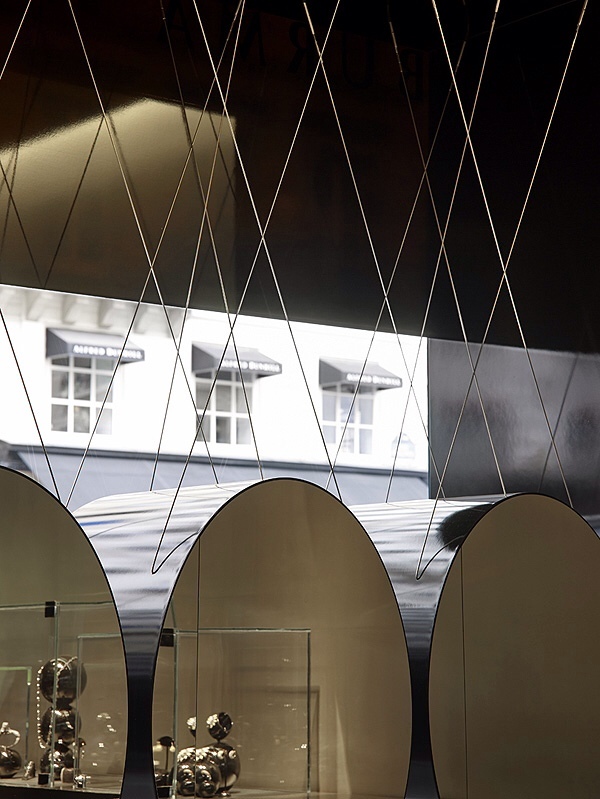 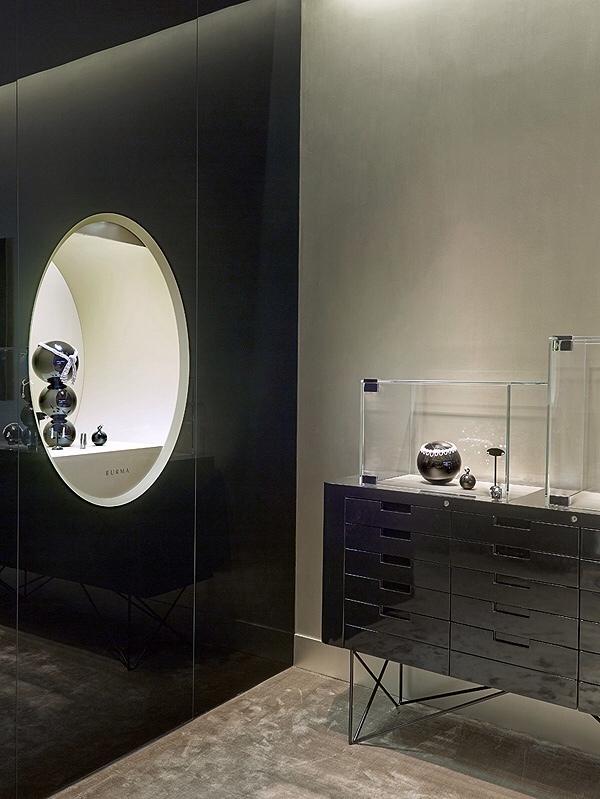 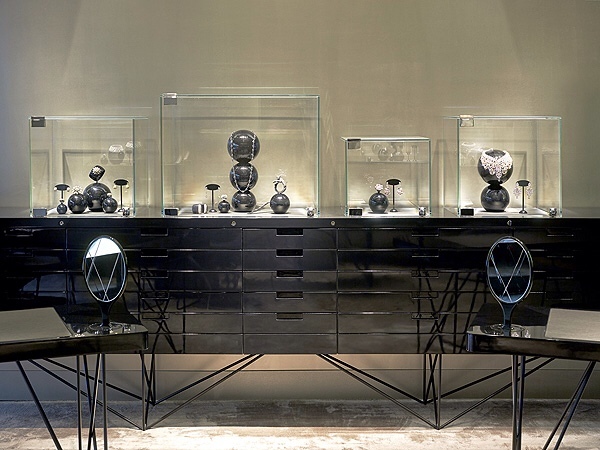 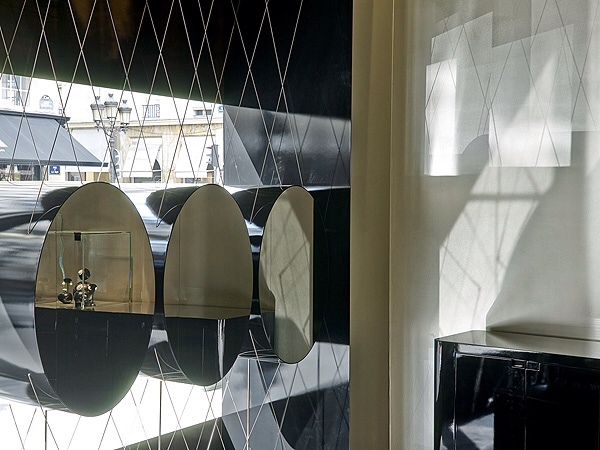 Lavish does not mean using exaggeration in material use and selection, here Burma boutique designed by Atelier Du Pont and located on Rue de Paix in Paris, is the perfect example of luxury in a minimal interpretation. 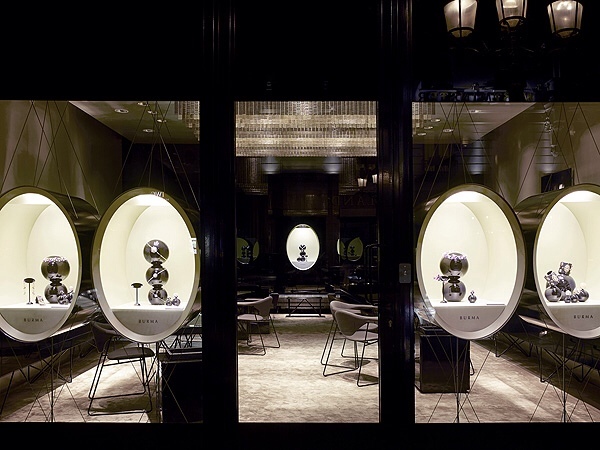 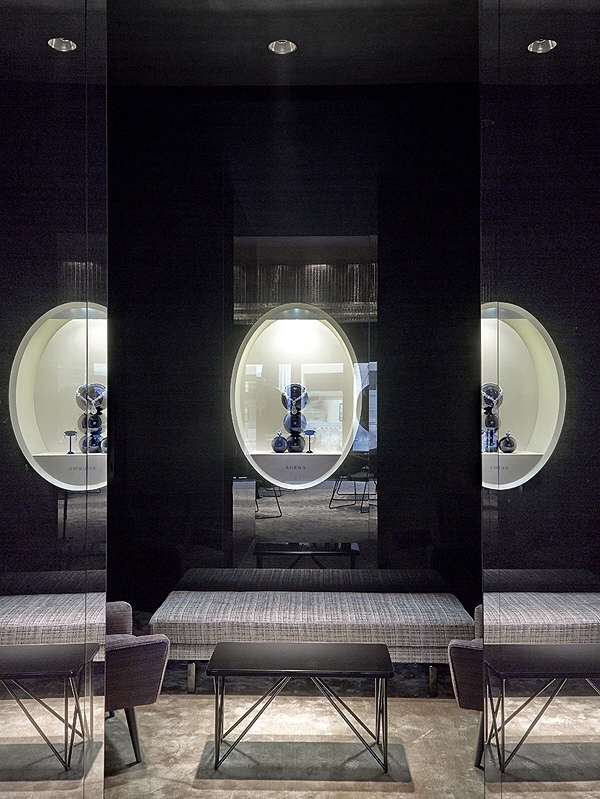 The ovals in the main facade resemble the hand held beauty mirror, the neutral colors and contrast of matt & glossy textures is what emphasizes the new age luxury. 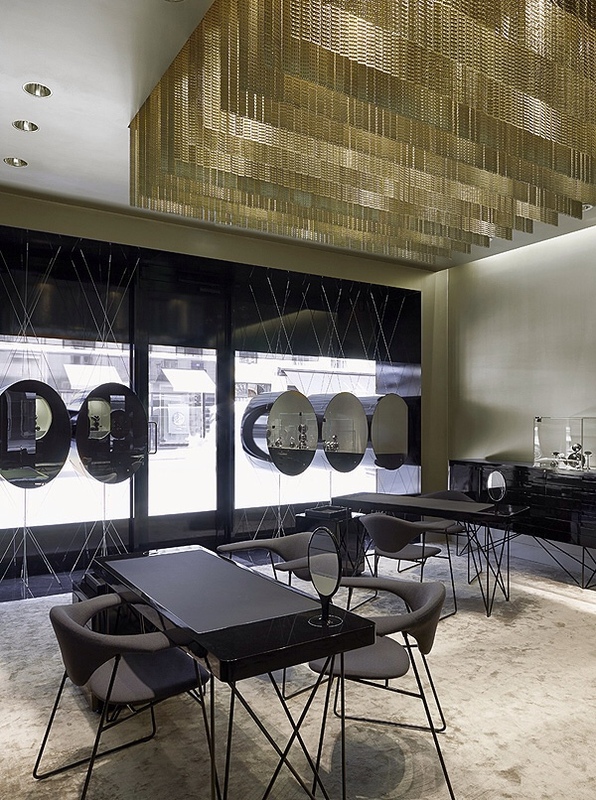 The empowering feature of this beautiful boutique is the chandelier made of simple gold chains lined in a geometric way filling out the main part of the ceiling. 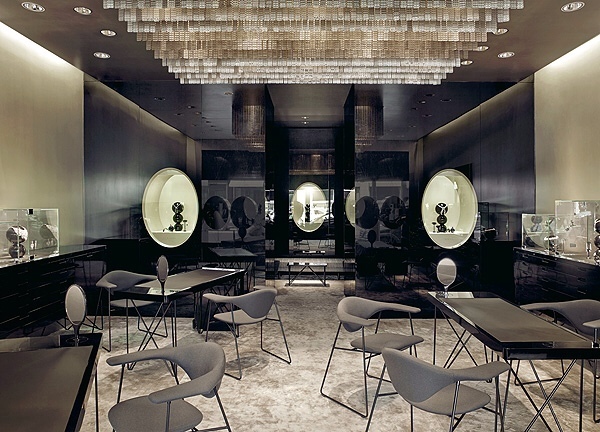 All in all, all I can say is magnificent work!